After 15 games and three and a half quarters, at around 7:15 PM Sunday night the NFL world reverted back to 1859 as it became A Tale of Two Cities. In Baltimore and Minnesota it was the best of times and the worst of times. Sadness in Minnesota, euphoria in Baltimore and that occurred as Pittsburgh and Philadelphia morphed into the rest of us helpless fans who can only root for victory without any way to control it. The Eagles took care of their business in D.C. where more Eagles fans were there for support while the Bears attacked the Vikings relentlessly even as the Rams’ easy victory erased any hope of a first round bye. Kirk Cousins and the Vikings appeared lifeless at home as those Skol horns played Taps on their season. Even when they closed to 13-10 their defense offered no resistance as the Bears easily cruised to the end zone and Matt Nagy punctuated the drive with a two point punch in the face. The last Vikings home game last year was quite a contrast as the Minneapolis Miracle set off a raucous celebration. Unfortunately what followed was a NFC championship game no show in Philly and that malaise seemed to hang around Minnesota all season. Cousins didn’t elevate the offense and the defense took a step back. Adam Thielen morphed from underdog, undrafted superstar to an undisciplined sideline distraction. Mike Zimmer has a lot of offseason work to do. Baltimore, on the other hand, avoided a heartbreaking finale for what would have been the second in two seasons. Baker Mayfield looked poised to lead the Browns to a game winning field goal and help the Steelers get in to the playoffs. Back to back receptions that were awarded to Cleveland on replays turned out to be a blessing for the Ravens. 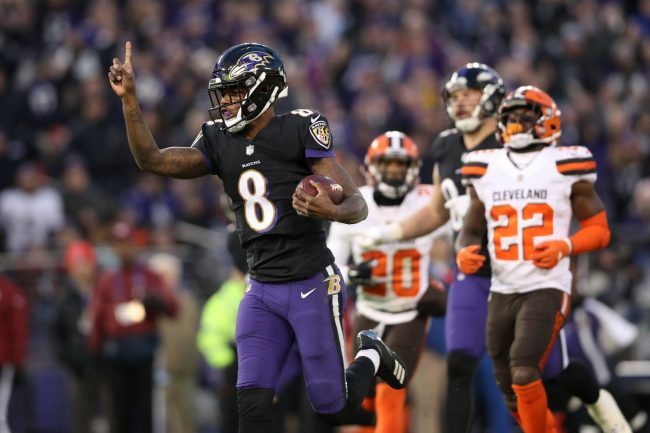 During those excruciatingly long replay reviews the gassed Ravens defense was able to regroup and dial up some blitzes to pressure Mayfield and make a defensive stand for the division title and eliminate their mutual rivals. Now, on to the absolute no guarantee predictions for the Wild Card Round. Colts at Titans: These teams split the regular season meetings with both winning in the opposition’s house. It’s a tough task to beat a division rival twice on the road but Andrew Luck has the experience edge over DeShaun Watson along with healthier weapons on offense. Eric Ebron has a big time game and Colts roll 30-19. Seahawks at Cowboys: A juicy prime time battle between two top defenses and two top running games. Seattle looks to ride their trio of Chris Carson, Mike Davis and Rashaad Penny while Dallas will feed a full serving of Ezekiel Elliott. Seattle won the previous meeting at home and I like Dallas to return the favor in Jerry’s house 26-23. Chargers at Ravens: The Ravens just beat the Chargers two weeks ago in LA. The Chargers should benefit from a second look at Lamar Jackson and they went a spectacular 7-1 on the road this year. With that said, I’m leaning towards John Harbaugh’s experience over Anthony Lynn in his first playoff game, 24-20 Ravens. Eagles at Bears: Nick Foles is banged up but the Eagles front seven and offensive line are willing them to one improbable victory after another. It’s always a crapshoot with a QB and coach in their first playoff game but Matt Nagy is pulling all the right strings. The Bears relentless defense carries them barely, 23-22.